We recently received a letter from a concerned mother experiencing cloudy water in her home. She was a bit worried about the possible health effects of turbid water and put off by the idea of bathing her kids in water cloudy, sediment-filled water. 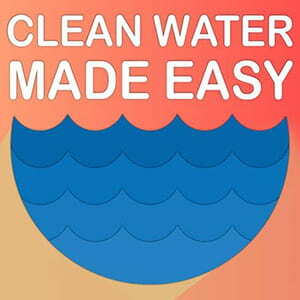 The suggestion you got is actually the most common method of treating cloudy water, also referred to as “turbidity.” The system your specialists described would inject alum (aluminum sulfate) into your water, causing the cloudy particles to flocculate (that is, mass together) into bigger particles which can then be removed by a backwashing filter. This is the same method for treating turbidity that is used in municipal treatment plants. The dosage of alum must be just right, though, and often requires frequent adjusting when using this method. Luckily, it is possible to treat cloudy water without adding chemicals to your water, via a method called ultra-filtration. Ultra-filtration systems filter water to less than .02 microns, and remove everything except naturally occurring waterborne minerals. We recommend the VZN-440H UF system, pictured below. 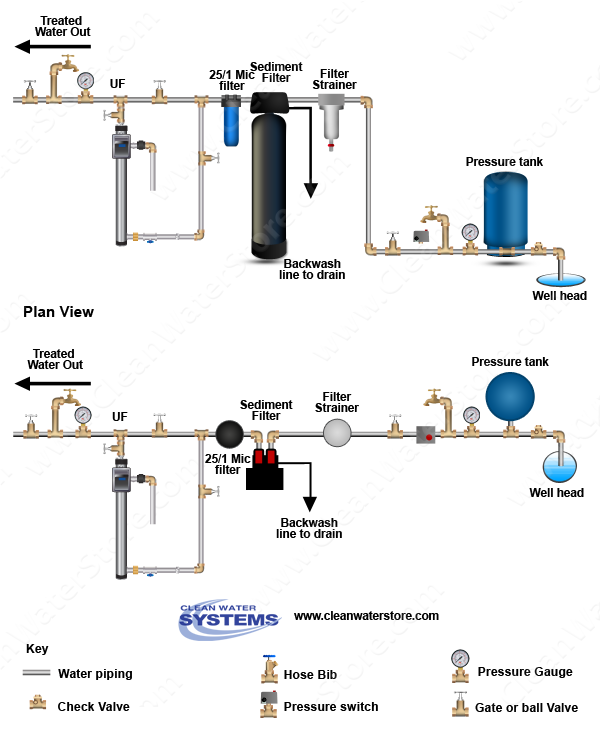 This system will definitely suit your application, though you’ll also want a good prefilter system installed before the UF system to protect its membrane from wear and tear from large sediment and prolong its lifespan. Such pretreatment systems would include a sediment backwash filter and dual-grade 5/1 micron cartridge filter to remove particles larger than 5 microns before the water gets to your UF system. Another option that we didn’t mention in our reply to Carol’s letter would be to install a reverse osmosis system in place of the ultra-filtration system. We neglected to mention it because large point-0f-entry RO systems can be rather expensive, while smaller point-of-use RO systems will filter water at one tap only. For the right applications, however, RO systems can be very effective at filtering the sediment and other particles that cause turbid water, but, like UF systems, should be preceded by a pre-treatment system to protect the RO membrane.